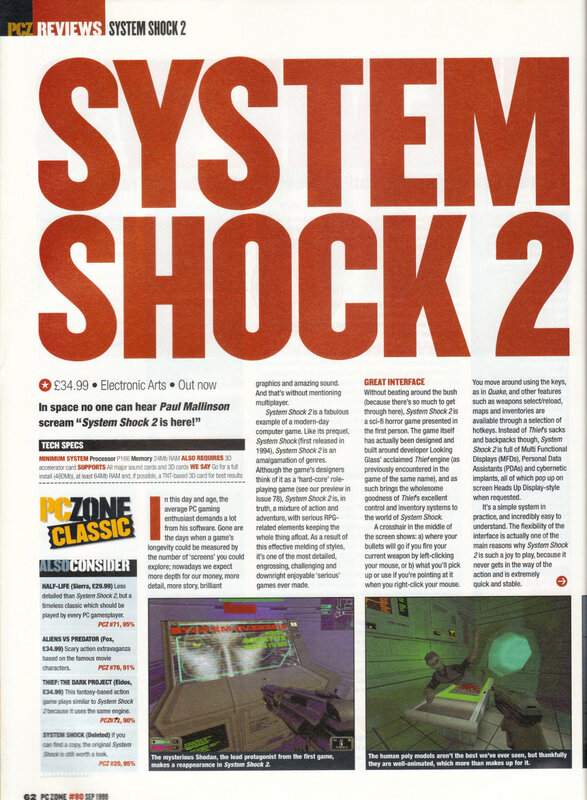 With the long overdue GOG re-release, I thought I should dig out a review of System Shock 2 today and the first one I found was from the December 1999 PC Format. 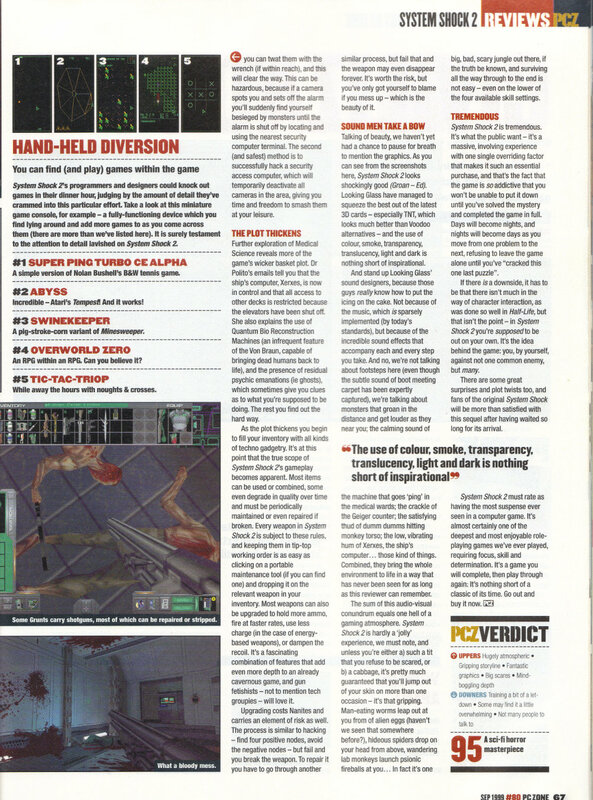 It’s a decent overview of the game but not quite as full of praise as you might expect for a game that is regarded as such a classic these days. 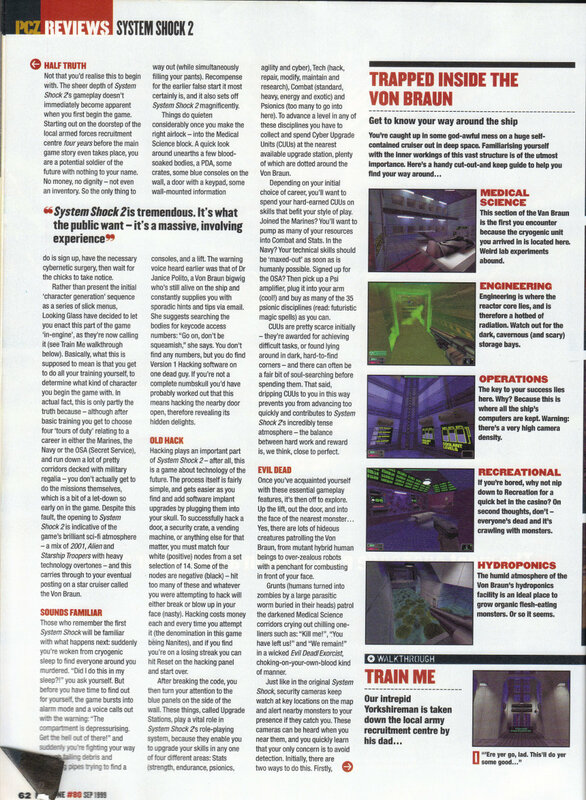 Half a dozen other games outscore it in the same magazine including the likes of Expert Pool which I doubt many of us will even remember. 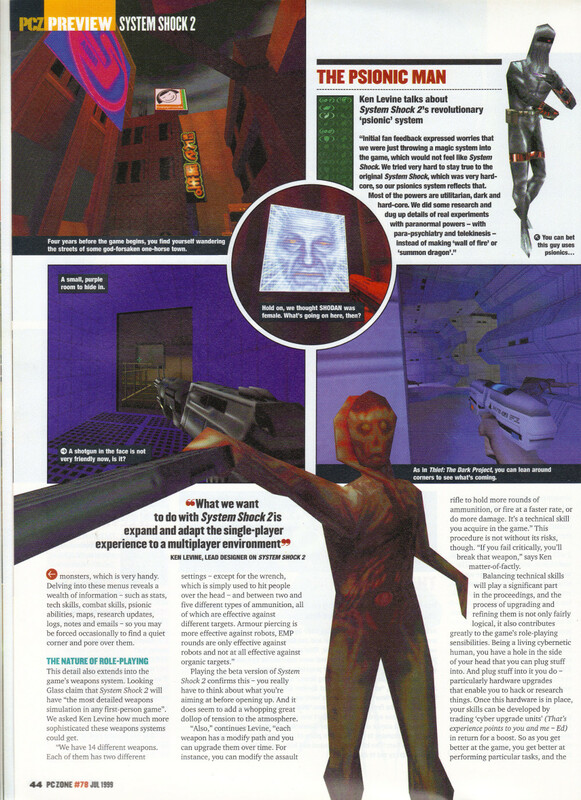 This is from the July 1999 PC Zone. I start exploring the fleshy corridors again and this time decide to ignore the radioactive water for now and head the other way. I wouldn’t say that the place is exactly crawling with annelids but there are a few of the tougher ones around. The biggest problem I have is finding my way around in what is essentially a 3d maze. I lost my automap the moment I left the Von Braun and I’m kind of missing it. 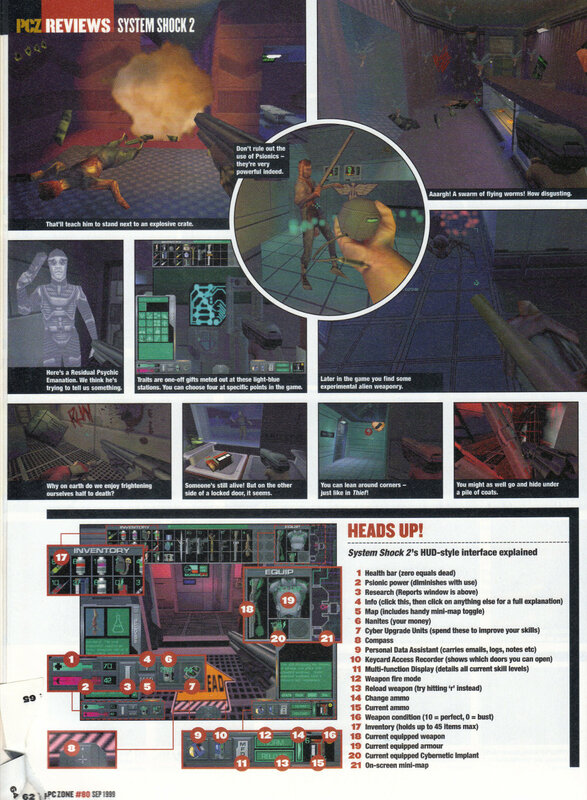 There is no way the automap’s 2D overhead view would have worked in here though with corridors going off in all directions. I must still be in the Rickenbacker as I come across bodies, logs and some rooms sticking out of the flesh. There is even another chemical room but I never find the chemicals I need to research the alien armour so it stays unused until the end of the game. A log I find describes how nerve clusters can be used to control sphincters in here. This is a bit vague but it turns out the thing in the screenshot here is a nerve cluster. There are two of them I need to find and shoot. The sphincter itself stands out as its blue. As soon as I find out about these it goes without saying they will in the two most dangerous areas of the ship so I swim through all the radiation using anti-radiation hypos as needed and sure enough this one is right at the far end. The second nerve cluster is in a room with a floating alien. It isn’t that obvious and I’d have missed it if I wasn’t expecting it to be in here after being attacked by the floating thing. This opens up the sphincter and gets me to the next area. This gets me to what can only be described as giant sliding teeth. It’s the old platform game moving column although this first one just has to be avoided. I get to a second set of teeth which I have to jump on and ride to get to and shoot another nerve cluster. This isn’t too tricky once I get the idea and there even seems to sometimes be a safe spot in the middle of the tooth where I don’t get crushed. I come to a room which I’m told is the womb for the annelids newest creation. I’m expecting it to have some significance as the orifices on the wall are highlightable in the UI. If there is anything I can do here I never find it though and indeed the whole room is optional. About this time I end up (and its becoming a habit with me) of saving my game just before I get killed by a floating annelid. These things seem to respawn in seconds which is why I wasn’t expecting it. It turns out my nearest savegame was hours back when I load it. To make things worse as soon as I do load it, it wipes out my autosave leaving me without even the option of turning on god mode or anything….. I’m glad to say Windows 7 has a new feature (maybe it was in Vista as well) similar to a network server where it backs up changed files once a day. I didn’t even know this was there but I use it to restore my whole save game folder. I have to start back at the beginning of today’s session but I can live with that and now I know where I’m going I play through to here again very quickly. I pass through a corridor full of floating annelid and at the end there is what turns out to be a never ending stream of rumblers. I try taking them all out for a while but they just keep on coming. In the next room is the reason why. I’ve found the heart of the annelids. There is always a trick to these final bosses. 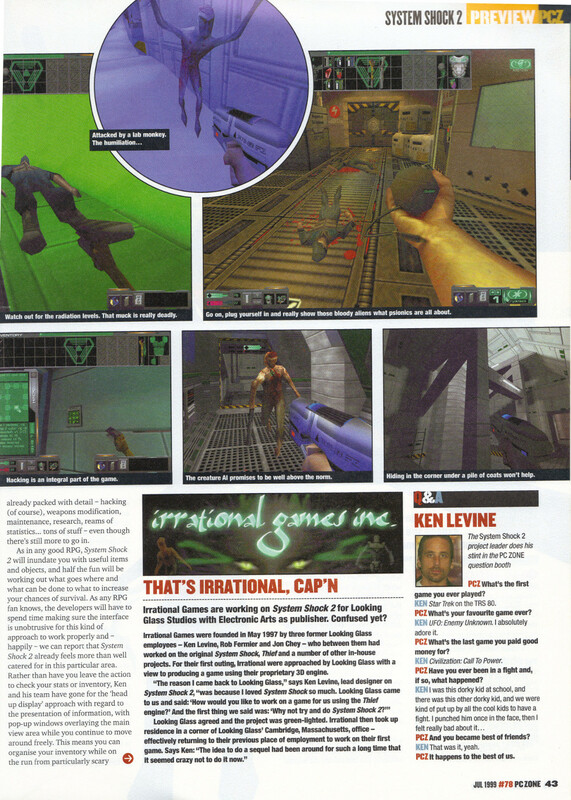 In this one I have to shoot these little aliens in wholes at the edges of the room. 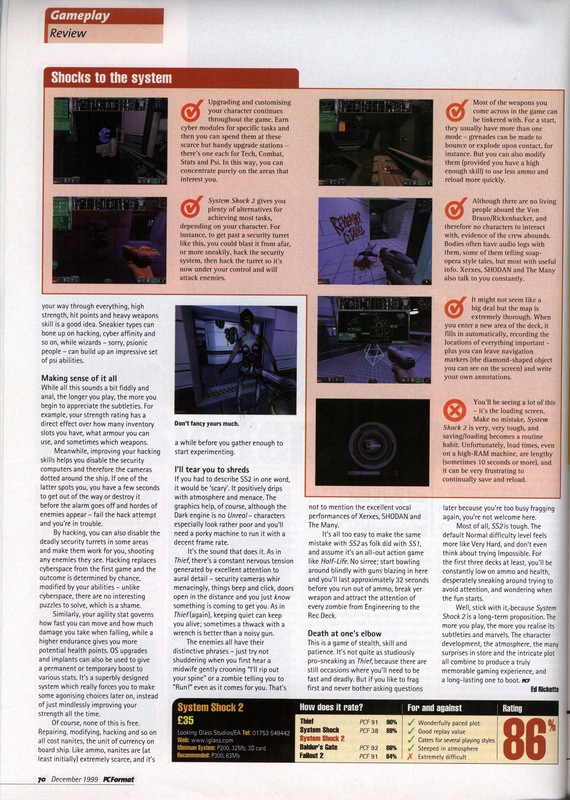 I then have to shoot the three stars floating around and finally take out the spherical thing in the middle of the room. This isn’t all that easy with rumblers constantly chasing me. I can just keep ahead of them if I keep moving but can’t afford to stop for a second. Just changing weapons and ammo is tricky. Once the core is blown up, I can climb up into it and jump into the hole I just made. I follow through a series of tunnels and find a strange semi-transparent log. It turns out that I’m not quite done yet. Shodan hasn’t destroyed the Von Braun after all and is using its faster than light drive to warp reality into her vision. This means I get to explore a virtual reality area similar to that in the training simulators right back at the start of the game. 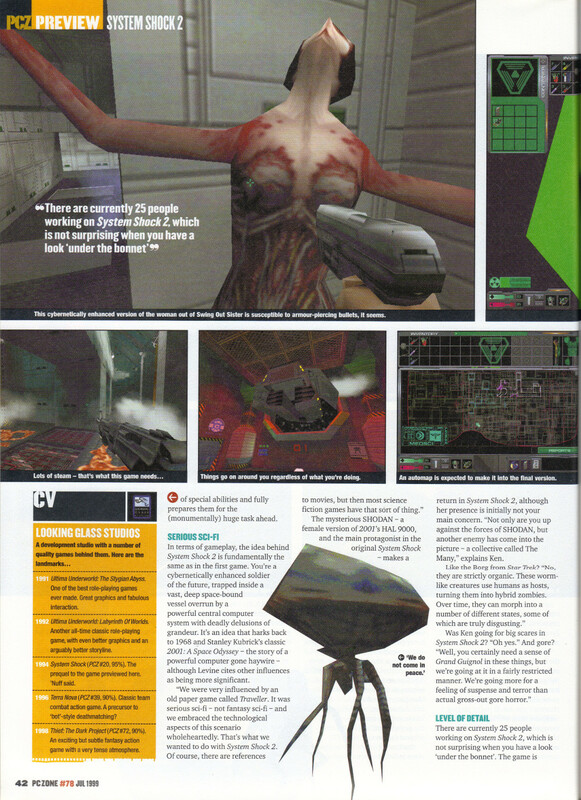 Shodan has created her own virtual versions of the annelids which seems a bit out of character for someone who wanted to destroy them all so badly. They aren’t any different to the originals except for being transparent. 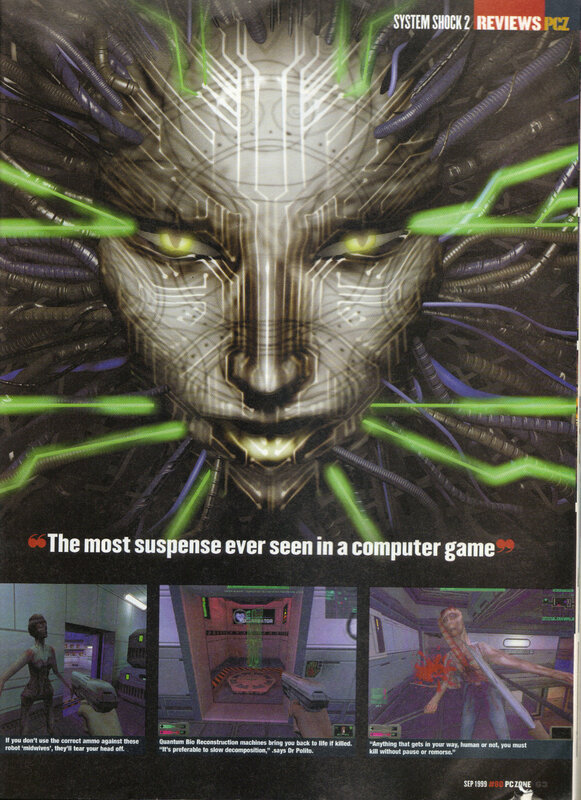 I’m traversing Shodan’s memory in effect and I soon arrive at the start of SS1 from Citadel station. In fact the whole of the rest of the level is a warped version of citadel. It’s funny how the graphics don’t seem to have been enhanced much from the original yet don’t appear out of place at all. Revisiting here is a nice touch for the fans of SS1. After I bit of exploring I jump down a load of blocks that were not in SS1 and end up falling into a long glowing tunnel toward what I’m assuming will be the final encounter. Sure enough Shodan is down here but protected for now by a shield. I’m told in a log I find that I can hack the terminals to lower this shield. There are two problems with hacking the terminals. The minor one is that the floor keeps getting electrified so it hurts if I stand too close. 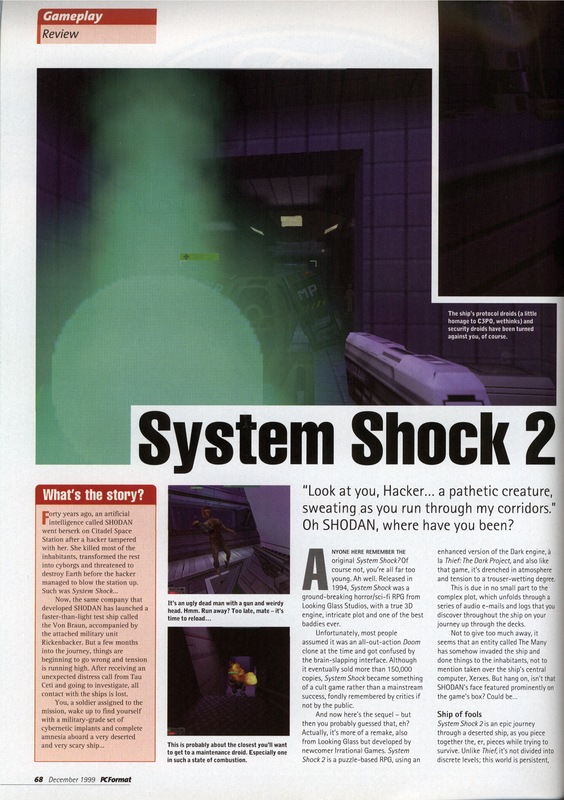 The bigger problem is these virtual Shodan’s that keep attacking me. I don’t know if its a PC speed issue but the respawn time on these seems far too quick to me. At first its got the ability to make you jump, when you are trying to hack the terminal and you suddenly hear one laughing in your ear but this gave way to irritation pretty quickly after I’ve tried 50 times to hack the same terminal. Most of the time I could just about select the terminal and click start before I was under attack. A higher hacking skill would have been really, really, useful here. After many retries I get the shield down and the rest is easy. 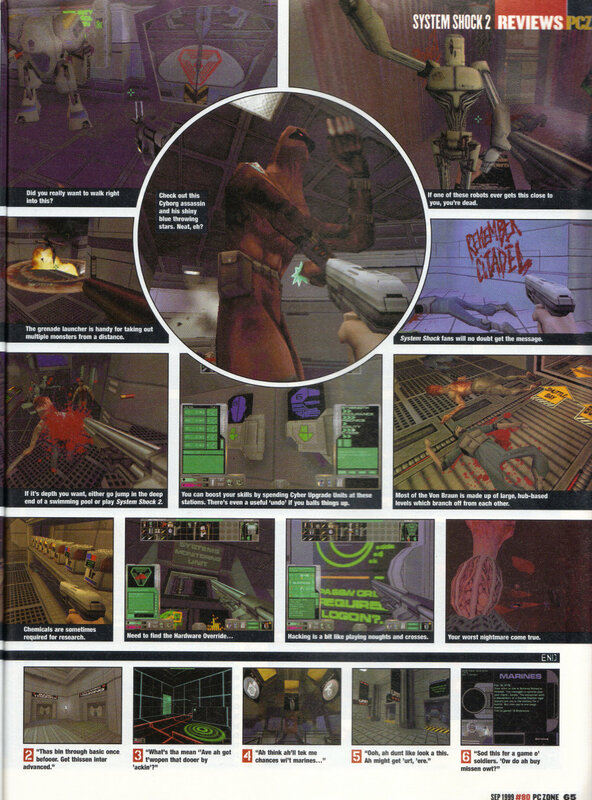 Shodan takes a few shots but my energy gun brings her down quickly enough and I go into the final cutscene. Hypersnap failed me again in capturing screenshots from the movie. In brief Shodan attempts to coerce me into joining her, I refuse, blow her up and find myself back on the Rickenbacker. In the meanwhile, I get to see the two escapees from the Von Braun in their pod and the woman transforms into another Shodan. You could see this one coming a mile off – it was the only reason I could think why they were allowed to escape in the first place. I’m not sure it makes sense but it did leave the door open for the sequel we never got. I’ve enjoyed SS2 a lot but I prefer SS1. This was a worthy sequel in every way and did build to a good climax whereas SS1 fell a bit flat right at the end. 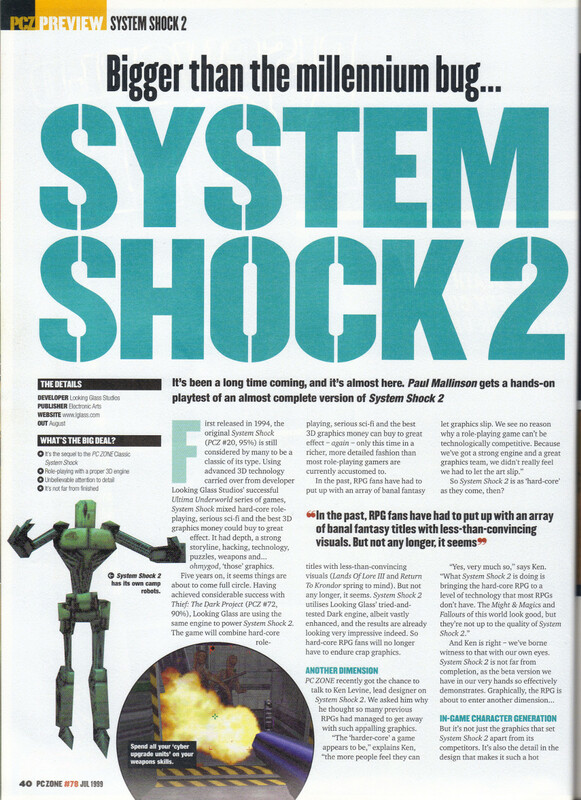 I don’t feel the story delivered quite as well, however, and SS2 was definitely less innovative. It’s a lot more accessible due to its improved interface but is a little too similar to some newer games and ends up suffering in comparison. 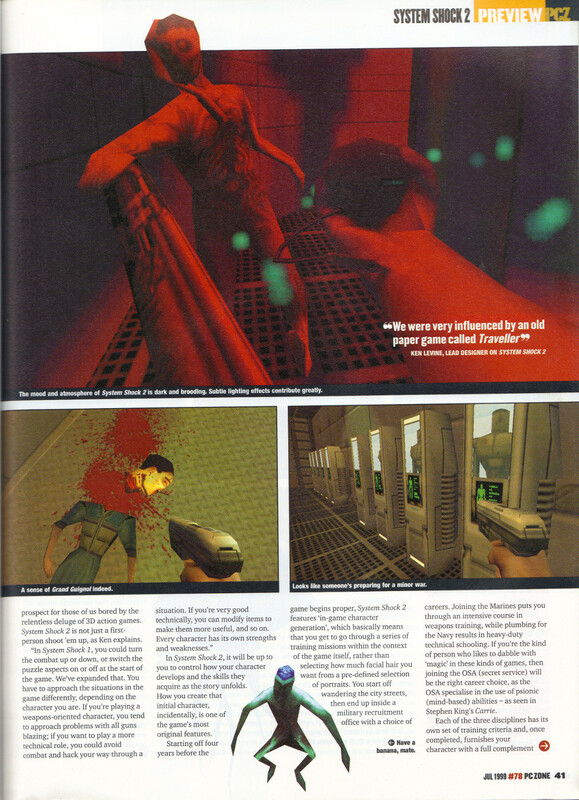 There is no way I could rate this above BioShock in all honesty, but if I had played it years back and had the benefit of nostalgia I might have a different opinion. The latest Wallace and Grommit game came out today. I’ll be playing that before I start another game here but it probably won’t take long. In the meanwhile, I get to play movie reviewer and have a look at the Wing Commander film.